Using technology originally developed for the Space Program to measure the effects on the body of being in space for long periods is also used to measure spinal health and wellness. Readings taken at different levels of the spine are measured, with the intent of discovering how coherent or “in sync” the spine is functioning. All matter must be enlivened and moved by energy. All energy moves in patterns, and all patterns emerge with an organizing intelligence. This is the nature of how all biological systems are formed. There is an organizing principle, energy and the matter or object that exists in the 3D world. In Network Spinal Analysis care, there is a very unique demonstration of this energy moving through matter in what we call the “Network Wave”. You may have seen people moving on the table in a rhythmic or oscillatory manner, and have likely experienced it yourself. The wave is an example of an energy that is moving in a pattern. But what creates this pattern of movement? How does it make the movements it does, and what exactly does this wave do? In 2016, Drs. Simon Senzon, Donald Epstein, and Dan Lemberger published a landmark paper titled The Network Wave as a Central Pattern Generator in the Journal of Alternative and Complimentary Medicine. This article reveals the tremendous significance of this wave and its impact on the structure and function of the spine and nervous system, including propagation of the signal of the wave through the site of injury in a quadrapalegic’s spine. Continuing research on the wave done at the University of Southern California, and presented at the 3rd Global Conference on Signal and Information Processing, is showing some fascinating elements of the Network Wave that have tremendous implications for what is happening to you, your spine and your life. This wave has been shown to be a Central Pattern Generator (CPG). A CPG is responsible for organizing energy moving through a system into specific patterns of motion. There are CPG’s that control all kinds of rhythmic movement in the body, but walking (gait) is the most commonly known. CPG’s are so specific to each person that they are as unique as finger prints. Your gait is so specifically yours that once the mathematical algorithm of your gait is identified you could easily be picked out of a crowd by a computer that is looking for this algorithm. This pattern is not affected by injuries such as a sprained ankle, while the actual stride of the gait is altered the pattern which is generating the movement of the energy is not. So why is it important that the Network Wave has been identified as a CPG? Simply for its ability to help your spine, and therefore your life, reorganize at higher levels of complexity. When your spine is locked in patterns of stress and tension it is binding energy and resources that are not available for use. 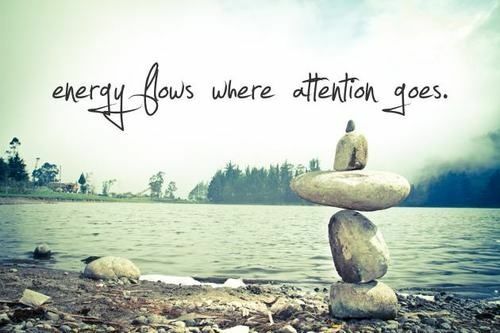 These energies may be physical, emotional, mental or even spiritual. They may be related to pain or illness in the body, emotional or mental stress and creating an inability to live up to your full potential in many areas of life. When the Network Wave moves through these stored patterns of stress and tension it is able to, in a way, “reset” the system and liberate the energy that was bound so that it may become useable again for forward movement in life. What about this “reorganizing to a higher level of complexity”? Complexity in our nervous system and life is desirable. They help us to do more sophisticated, nuanced and subtle things. Think of a box of legos – they can either be all separated and thrown in a box in seeming random chaos, or they can have an energy and organizing intelligence build them into a recognizable state or structure. If we want our life demonstrating higher levels of structure, capability and experiencing we need an organizing force like the Network Wave. Complexity is not the same thing as complication which is usually associated with confusion and a lack of a useful end state. Complexity is a demonstration of a system evolving and having more capability for change and transformation than it has previously. As this Network Wave moves through your spine, and the CPG helps to reorganize and improve your posture, biochemistry, brain function, emotional regulation and many other neurophysiological processes that you have likely experience the effects of – such as better mood, less pain, more effective decision making, mental clarity and insight and more connection to a “calling”. As your system continues to evolve and grow though this work, our research has shown that there is no actual limit on how much change and transformation you can make – how much more energy efficient and effective you can become due to the effects of this Central Pattern Generator we know as the Network Wave. Why Do Animals Seek Altered States? A few weeks ago I happened upon an article describing how animals interact with psychoactive substances they encounter in the wild. In general, they avoid it, unless there is an environmental stressor, then they utilize it more, even to the point of addiction. For instance, Water Buffalo in Vietnam, who usually avoided eating the plant where opium is obtained, sought it out during the war, and then resumed avoiding it afterward. Elephants when stressed by overcrowding will seek rotting fruit and the mind altering alcohol it contains. In last weeks newsletter I discussed the primitive brain, this is the part we share with all animals. Our basic functions of safety, food seeking, and reproduction are housed in the primal/Lower Brain. When we are in pain, our lower brain is on high alert, telling us to “Stop & Pay Attention”. It seems for all animals, from rodents through humans, when our natural ability to shift back to wine and dine is blocked, and we cannot stop the pain from stress, we seek to alter our physiology. How much more candy did you eat during midterms or finals? Or maybe it was an extra glass of wine to “unwind” from an intense week at work. While sugar or alcohol may momentarily shift our physiology, it doesn’t change the external or internal stress. What the lower brain really craves isn’t so much an altered state, it is seeking safety. Being aware that you want to check out of your experience is a great first step, from there, find what brings you greater movement, breath or a sense of connection, that will send the messages to your lower brain of the experience of safety. We cannot change external events, but we can alter our physiology toward a more healing and empowered state. Most of all, have compassion for yourself, you don’t need to shame yourself or beat yourself up for overindulging, just realize you need to take care of yourself. While we are a complex system of trillions of cells, in many ways our body functions can be categorized in two basic ways. Multiple systems of the body change function immediately when there is a systematic change from Fight/Fight/Flee to Wine and Dine. When stressed, or in danger, the Fight/Flight/Flee system is running the show, this is when the Primal, Lower Brain takes over functioning of the body systems. This “Autopilot” system protects us until we are out of danger. It is meant to be a short term solution because the hormones and chemicals your body makes while in Fight/Flight/Flee are damaging in the long term. When there is a shift back to Wine and Dine after a trauma, we become healing machines, stress hormones like cortisol and insulin levels lower. All parts of Digestion are improved from Salivation through Elimination, thus the term Wine and Dine. Since the lower brain isn’t as dominant we use all of our brain systems again, not just the lower brain. When you see statistics that Stress is harmful, it is helpful to know that being in the Fight/Flight/Flee state is saving your life, it is only when we cannot shift back into Wine and Dine that the effects of stress pile up and become harmful. Our Lower Brain is also linked to movement and breathing. One of the best things we can do to reset our lower brain back to Wine and Dine is to move. It does not need to be complex, walking, dancing, and stretching are all easy to do and can be done almost anywhere. Does it take effort to grow? There are times in our lives when growth seems effortless; we are learning new things, having new experiences, developing wider circles of connection, and other times when it seems difficult to get out of well-worn habits of thinking, behaving or being. Without the biological and physiological condition of safety, the human body will be in a state of breakdown. We often think if we work harder, or longer, the effort will inspire growth, which it can, but only if the body has enough energy to be safe first, and then to grow to a new level. It is important to assess where you are first. We cannot bypass safety and go straight to growth, safety is a physiological state that is natural when we have good food, clean air, movement and comfort. We can begin to grow once we have safety because our body not only has what it needs to repair damage from the stress of life, but we have enough energy stores to grow new mitochondria in the muscles, or new neural pathways in our nervous systems. Growth in biological terms is seen as having greater complexity, and greater efficiency. It happens naturally without effort when the conditions are just right. When you set up the conditions that foster growth, any force or effort becomes much better received because the system offers less resistance. When discordant energies dissolve or come into union, there is often laughter, and humor can be used to connect and to heal individually and collectively. When faced with polarity or discord, or an internal sensation we are uncomfortable feeling, we could let it build, or ignore it, or come to terms with the discord, and dissipate that stress, often through laughter. When this happens, that is a type of healing. In a group there will be a syncing of physiology that reflects greater harmony and connection with others that can be measured, and felt. What if “normal” is hurting us? Five years ago, I read the book “Born to Run” by Christopher McDougall, and it made me question what I thought was “Normal” or “The Way It’s Always Been” in regards to my footwear. Our toes are meant to spread when we put weight on them, I was wearing shoes that didn’t allow my toes to spread, which, as the book pointed out, leads to a host of other problems. Most of us are doing the same thing. When I looked at new information, I realized my feet were cramped in my work shoes, dress shoes, gym shoes, cycling shoes, etc. Over the next year I ended up replacing every piece of footwear I owned, even ski boots that I wear only one day a year. Now, what used to seem normal seems tight and cramped. I know I’ll never go back, not even for one night. What other habits or activities are we engaging in that seem normal, but are actually hurting us in the long run? We only know when we make the necessary changes, even if it seems odd or weird, and then realize how much better our life is. In a paper published in January of 2016, researchers discovered there are more sizes of brain synapses than previously thought. Previously it was thought we had only 2 types, small and large, which relate to short term and long term memory. Our understanding of the brain and how memories are retrieved has changed over the years, currently it is observed that a pattern of neural firing activates different memories, emotions and movements. The memory capacity of neurons is based on synapse size, so the old understanding of basically 2 sized led to a theory of 2 types of memory. What the researchers discovered is there are many different sizes, with about 8 percent with each successive size, making it possible for 26 distinct sizes of synapses. It also appears “your synapses are going up or down to the next size. The synapses are adjusting themselves according to the signals they receive”, says Tom Bartol, researcher at the Salk Institute. We have variable sized synapses based upon the signals they are receiving. The wording of the researchers demonstrate an understanding of the brain and nervous system as changeable and adaptable. It is in constant flux, based upon the input it is receiving. Why is this research exciting, and how can the average person use it? We know the brain and nervous system generates and sustains patterns for overall efficiency, even if those patterns are non-productive or unhealthy. Our brains are changeable. Healthier, more sustainable patterns can be instilled with new input. How? Change the pattern! Our patterns are linked through movements, emotion, mental thoughts and more. We often think we need to change everything at once, but sometimes we just need to change one thing for a new pattern to emerge. Twice I had the opportunity to hear Joseph Chilton Pearce speak, only a few months before the birth of my son, Joe would have been 72 at this talk. I had recently read his book, “The Magical Child”, which was released in 1977. It was such a relief to read that book, at that time. In the late 1990’s the most popular books for parents-to-be were the “What to expect…” books, first for pregnancy, and then for infancy. After reading The Magical Child, I knew my child would be born into a world that offered everything he needed to grow into a healthy, intelligent, creative and loving individual. In is 1998 talk, he had taken the concepts in the Magical Child of how nature prepares us, and provides us exactly what we need for our developing brain, and incorporated new scientific understanding of the role of the heart and “heart wisdom”. This lead to his most recent book, published in 2012 and titled “The Heart-Mind Matrix: How the Heart Can Teach the Mind New Ways to Think” When you heard Joe speak you felt his excitement for what was possible for all of us. This is the message that endures when I think of Joe, that we are all capable of amazing things, made possible by living a life that follows natural laws, and not trying to out smart mother nature. My original attachment system for the removeable legs didn’t work very well when I tried to remove the legs, the wood shrunk and the legs were very difficult to remove, and the wood cracked. Here is my new attachment. I drilled a hole in the top and attached with a 1 1/2 lag bolt and washer. In her new book “Presence” by Amy Cuddy, who is best known for her 2012 TED talk, brings to light another important factor that influences our health and wellness, defining our core values and beliefs. Studies have shown that self-affirming your core values protects from stress, helps with raising grades, reduces bullying, helps in quitting smoking and healthful eating, decreases stress and improves couples therapy outcomes. It also sharpens negotiation skills. Our values represent the “why” of what we are doing. For instance we don’t just want to eat food, which is the action, we may want to make sure our kids have nourishment, or create feeling of connection while eating our food with others. Have you heard this term? Maybe from a chiropractor? Taking the word and it’s component parts, it could have a couple meanings. The most common usage: “sub” meaning less, and “Luxation” meaning dislocation, gives us…a slight misalignment, usually of spinal joints as used by the chiropractic, osteopathic and physical therapy professions. Another way of seeing it is: sub meaning less than, “lux” meaning light, and “ation” referring to a phenomenon. Sub-Lux-ation, a condition of less light – or life force in the body. This refers to the state in which the body isn’t able to adapt to current demands. When the body is in a state of less life force, growth and development are put on hold, the mode of operation becomes protecting your life instead of growth. With a healthy spine comes a healthy life. There is a correlation between a flexible, fluid, supple spine and robust, flexible, adaptable health and wellness. The presence of subluxation is an indication that you are operating at less than full capactiy, the adjustment is a shift to assist the nervous system to higher levels of organization. Do you know if your bodies’ circuit breaker is overloaded? A chirorpactor can tell if you are in a state of less life force. In the book Cooked, by Michael Pollan, there is a chapter on fermented foods. They have become a part of my diet, but it wasn’t always that way. One reason is that it wasn’t part of the normal food that my family ate when I was growing up. Human beings have a strong reaction to fermented our soured foods, our natural instinct is to avoid them, and it is through our culturization that we ingest them because we are told it is good for us. With regular ingestion we introduce healthy bacteria that strengthen our immune systems. We know this now through science, but the practice has been around for centuries. How did our anscestors know? I’m using fermented foods as an analogy for the things we aviod, but are actually good for us, exactly what we need to do to grow. Maybe it’s asking for a raise, or asking your partner to improve your commmunication skills toghether. Staying in the same place will bring you comfort, but it will not bring you growth. I believe we are all meant to grow, and we are all on our own schedules, when the time is right, nothing can stop you from setting a new standard and acieving a higher level of wellness and wholeness. When is the right time? Maybe you could ask your grandparents, they have a “knowing” that only comes from experience.